Allsportspk brings the fourth article of the series on underappreciated footballers whose talents are not as widely acclaimed as some of their peers. He was married to Angie Best from 1978-1986; the couple had a son, Calum Best. Best was then married to Alex Best from 1995-2004. 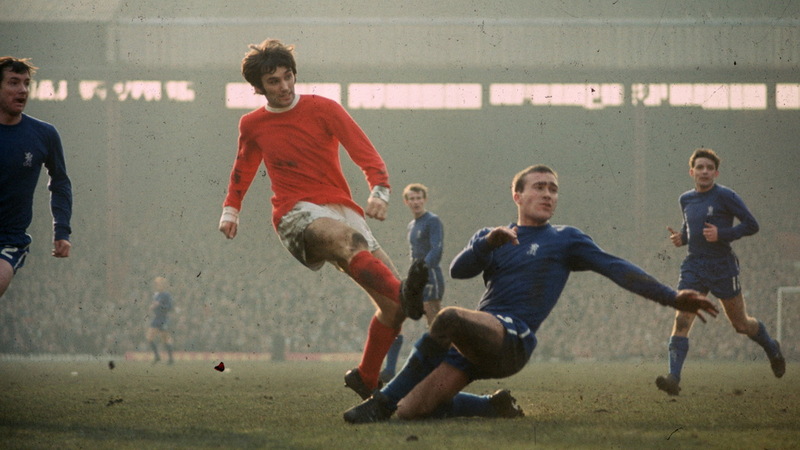 How do you begin to describe the enigma that was named George Best? I guess you start with describing just how phenomenal he was with a ball at his feet. Blessed with flexibility and grace on a football that was astranger to the era that he was born in, George was a master of all the devilishly delicious tricks one could play on a pitch. He combined elegant balance, strength on the ball, potent goal scoring ability with the talent to slalom through defenses as if he had superhuman skill that his mortal adversaries just could not contend with. Seldom is the world of football graced by the embodiment of ability and toughness. In Best, the world found one of the few anomalies. 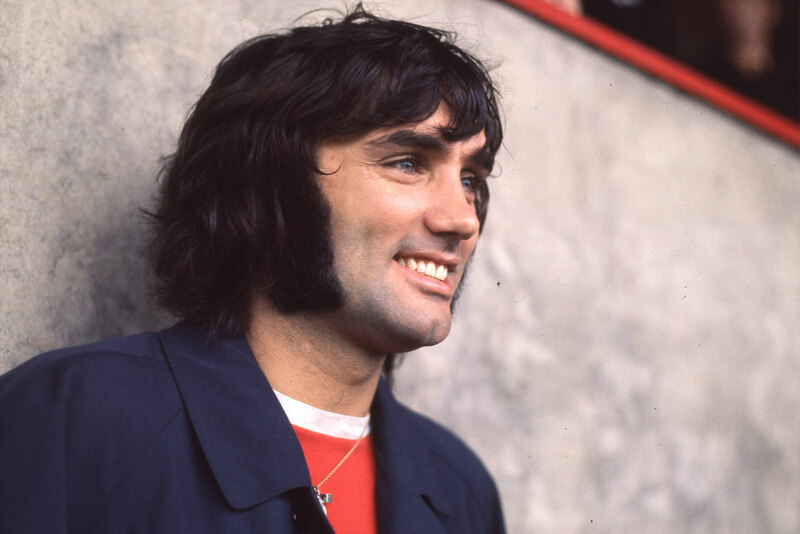 George Best’s story, like that of many other colorful geniuses, starts with a humble beginning. Born in the working-class inner city of East Belfast, Best was drawn to the beautiful game from very early on. With a ball at his feet, “Georgie” would dribble and run without a care in the world. His natural gifts were there to see. But in those days, football was a man’s game and he was considered physically slight and lacking in the strength required to play the sport at a high level. This cost him a place at local club Glentoran. So, George had to wait. There is an old saying, however, which says that “good things come to those who wait.” And good things would come for George as well. Bob Bishop, a scout for Manchester United, was in Belfast when he discovered Best. Best’s talents meant he was soon signed up by the Manchester club which was rebuilding after the crash of the ‘Busby Babes’ in 1958. Best’s talents were polished by the stern Matt Busby. The Ulsterman, who was prone to drinking problems, was kept in line by the Scottish manager and made to hone his craft. Soon, the natural gifts of Best were ready to shine bright in front of the world. Making his debut aged only 17, Best would soon start garnering attention. His efforts helped United achieve success in both the league and in cup competitions. He was also supported by two other magnificent footballers: Denis Law and Bobby Charlton. His partnership with Law and Charlton was so deadly, in fact, that the three were named ‘The Holy Trinity’. Soon, United were back knocking at the door of European success as well. In 1968, Matt Busby and his United team finally fulfilled the dream of lifting the European Cup. Facing the great Eusebio’sBenfica in the final, Best played a starring role and guided United to glory. For his excellent performances, the Northern Irishman won the Ballon d’Or, the most prestigious individual award in football. At age 22, Best had won it all. He had achieved everything he and Matt Busby had set out to achieve. Busby retired soon after, however, and Best was left alone at United. Aimless and lacking the guidance of Busby, Best’s decline would be as swift and dramatic as his rise. The star struggled to cope with the demands of mass media attention and constant scrutiny. He became easily distracted by temptations outside of football. Best became more engrossed with alcohol, women as well as fast cars and became disenchanted with the sport which had given him fame. Soon, United had had enough of his ill-discipline and he left the club in the early 70’s. He went on to represent 16 more clubs – in America, Australia and Hong Kong among other places – in his career but never came close to replicating the wizardry of his early years as his off-field personal issues continued to mount. Best is held in high regard by many people across the globe. He has received high praise from the likes of Pele and Johan Cruyff. Pele even went as far as saying that Best was ‘the best player in the world.’ However, there are still others who point to his career’s short tenure, his lack of success at international level, and his ordinary goal scoring record to make a case that he is perhaps overrated. I disagree. If it hadn’t been for his happy-go-lucky attitude and had he been born in a stronger footballing nation, Best would have easily gone down as one of, if not the, greatest. Best was an icon who set trends and broke the mold but was unfortunately weighed down by the weight of the world on his shoulders.